A group of researchers just got done analyzing 232 studies in an attempt to see how the different treatments for prostate cancer compare to each other. Which saves lives the most? Which is the best bang for the buck? We’ve got some answers to share. The studies span the past decade, involving patients with all stages of prostate cancer treated with the standard therapies: radiation, surgery, hormone therapies, and brachytherapy (placing a radiation source inside the body, by the tumor). They found that for those with low-risk prostate cancer, the different types don’t vary too much in terms of survival. For men with this form of the disease, the odds of surviving five years are nearly 100%. They did find that radiation therapy is far more expensive than surgery for the low-risk patients. Things change, however, for intermediate- and high-risk cancers. The survival rates and cost generally favor surgery over the other treatments. However, the researchers did find that combining “external-beam radiation” and brachytherapy together led to survival rates similar to those of surgery for high-risk prostate cancer. The results show that surgery might have a greater role in the high-risk disease than is being played out in practice. 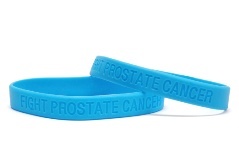 Localized prostate cancer accounts for about eight out of 10 cases of this cancer in the United States. The “localized” part means that tumors that have not metastasized and spread outside to other areas of the body. Treatments can vary significantly across the country, or even across a town. While one person may have surgery, another with a similar diagnosis might have radiation therapy. Another might not have any treatment at all, but instead undergo active surveillance. The thing is, all regimens can do equally as well. Until now, there is little evidence that one decision is better than another. This new study looked at costs and outcomes, finding that treatments range from about $20,000 (robot-assisted surgery) for low-risk cancer to over $50,000 for combined radiation therapy for high-risk cancer. A cancer diagnosis is one of the most difficult experiences of any person’s life. It is important to make informed, effective decisions with your doctor in regard to the best treatment path for you as an individual. Here, the results show that for high-risk cancer, surgery may be the way to go. Cooperberg, M., et al., “Primary treatments for clinically localised prostate cancer: a comprehensive lifetime cost-utility analysis,” British Journal of Urology International, published online December 28, 2012.